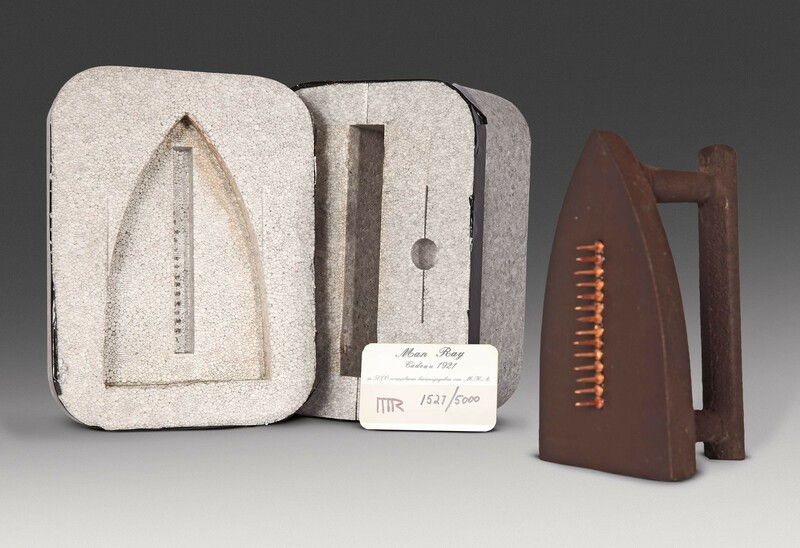 Man Ray’s Cadeau epitomizes the strange, and often disturbing dysfunctionality of the Surrealist object. 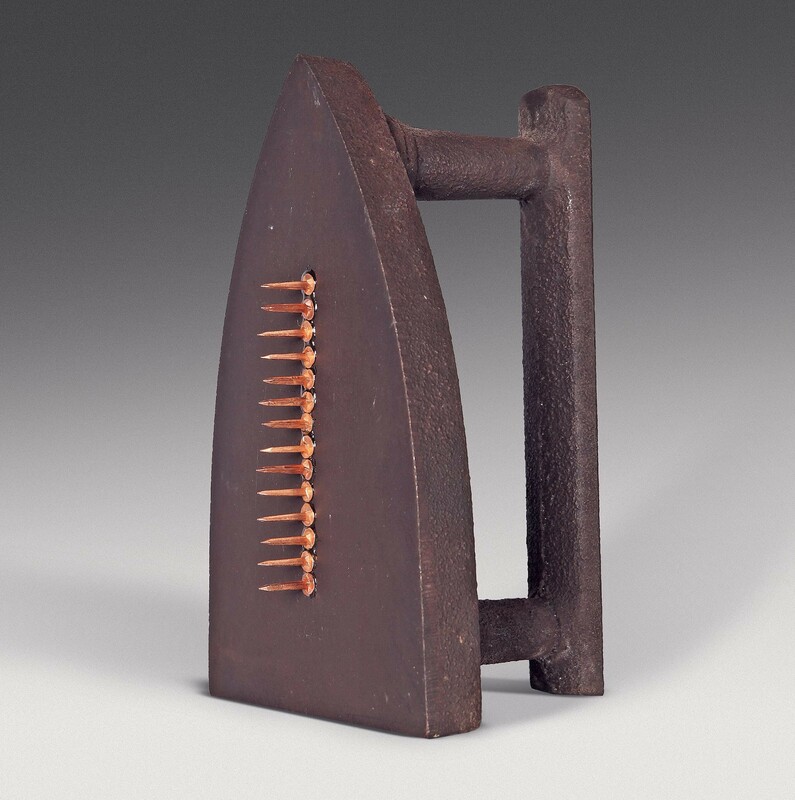 Created after a few drinks on the day of the opening of his first solo exhibition in Paris in 1921, the original work was intended as a gift to the gallery owners, but was stolen during the show. 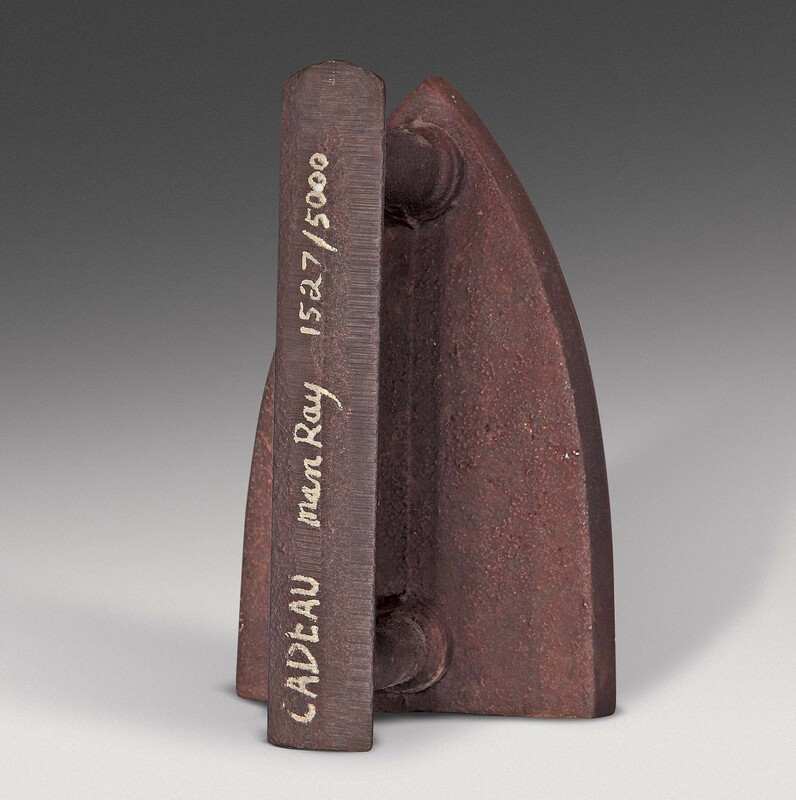 In 1974 Ray authorized an edition of multiples of his Cadeau, resurfacing his legendary first Readymade.